Casio G Shock Gold Sport Watch | BUDK.com - Knives & Swords At The Lowest Prices! 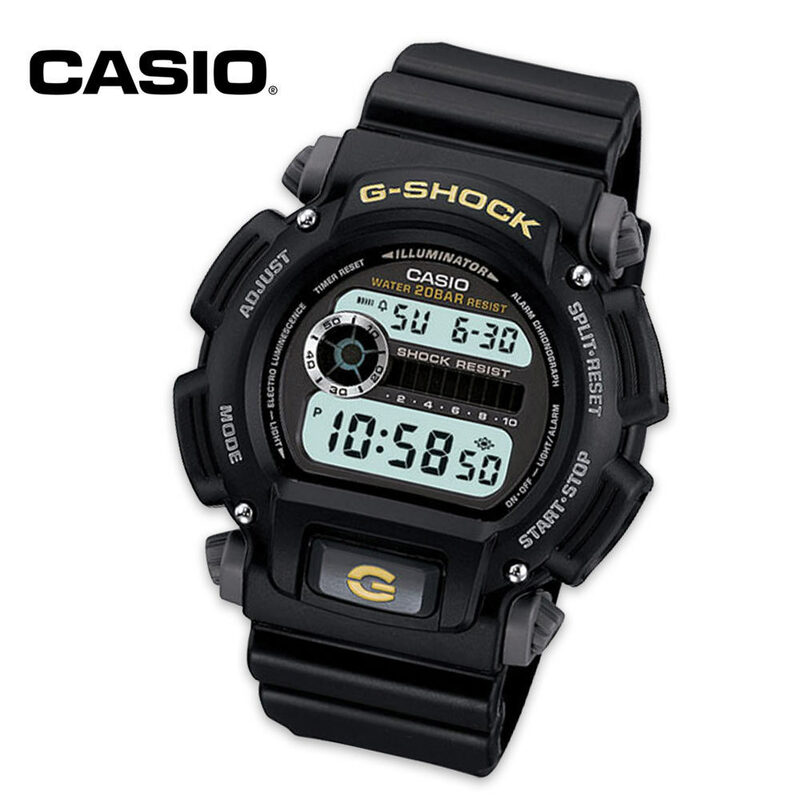 Crafted with the avid sportsman in mind, the Casio G-Shock wristwatch is worn proudly by many but wanted by everyone! This value-packed sport watch delivers electroluminescent backlight with afterglow feature, a flash alert, multi-functional alarm, 1/1000-second stopwatch and a countdown timer. The comfort-fit band and oversized case only add to its versatility. Best of all, it's shock resistant and water resistant to 200 meters. You can't beat the value that's packed into this Casio wristwatch. It's the perfect watch for outdoorsmen and fishermen. I have this model with a red lettering instead of gold. All I can say is it is a FANTASTIC watch. Tough, reliable and looks good with just about anything you wear. I bought it when I was a reporter because it was tough enough to handle whatever kind of scene I was on (fatal wrecks, fires, weather events, sports, etc). Many of the cops I know also wear something similar. The illumination feature is a huge plus - much better than those cheap little bulbs some watches have. This watch has never let me down and I highly recommend it.